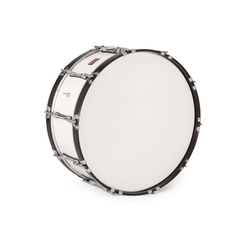 Diameter: 22", 24" , 26" , 28"
Aimed at a prosperous growth in this domain, we are instrumental in offering an excellent quality range of Bass Drum with Baas Drum Belt and one pair Bass Drum Beater. Army Bag Pipe & Musical Co.
Our reputed entity is engaged in supplying Basix Drum Set. This is a graphic bass drum head with 22 inches diameter. It is brown in colour and is made of plastic. 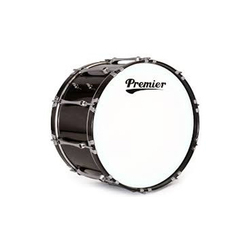 Our company has achieved laurels in offering Bass Drum to the clients. Bass Drum is widely appreciated by client owing to its sturdiness and excellent design. This product is manufactured by using premium quality raw material and sophisticated technology in accordance with the quality standards. With rich industry experience and knowledge, we are providing an excellent quality range of Aluminium Musical Bass Drum.